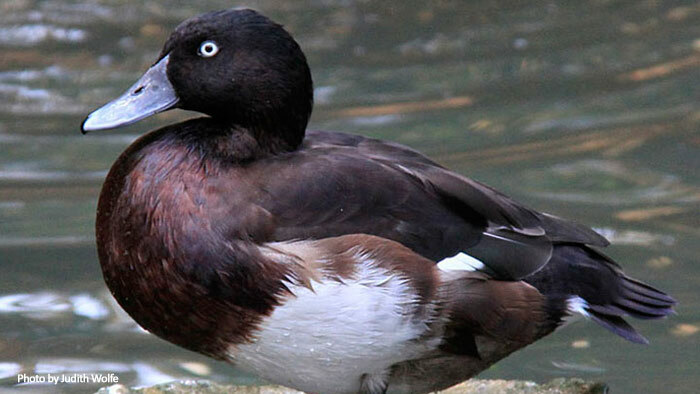 This critically endangered diving duck originates in eastern Asia. Aquatic plants make up most of this bird’s diet, alone with some mollusks, aquatic insects and small fish. Baer’s pochard are sparsely found in various countries in eastern Asia, including, but not limited to China, Russia, India, and Bangladesh. It is always near bodies of water. They build their nests concealed along lakeshores, river banks and stream banks. Females lay eggs in late May. 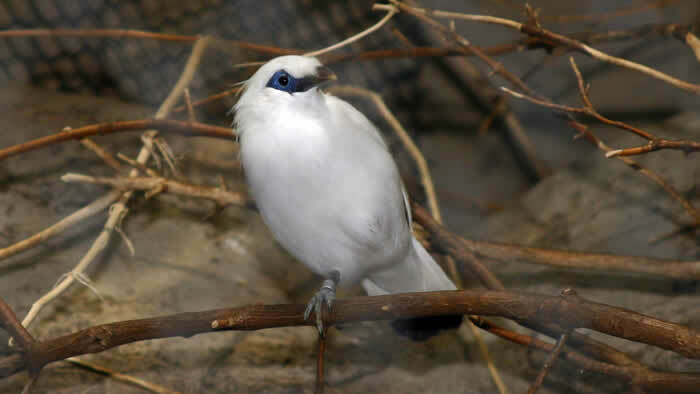 While the female is incubating, the males usually congregate together and molt their feathers. Baer’s Pochard are considered critically endangered The main threats are not very well understood, but are probably due to hunting and wetland destruction. Currently, field researchers are concerned that the overlapping population of ferruginous pochard, Aythya nyroca, has resulted in hybridization of the two species. Baer’s pochard is named after Dr. Karl Ernst von Baer, a Prussian naturalist. The wild population thought to be fewer than 1,000 individuals. The breeding range of Baer’s pochard is Russia and Northern China, although they tend to winter in Southeast China, Burma, and Thailand. These birds tend to be found in pairs or small groups, but they do mix with other diving duck species at their wintering grounds. Males and females have blackish green heads and necks. Males are larger and brighter in color than females. The green on a male looks metallic in daylight. Male’s eyes are white colored with black pupils, but during times of excitement, their black pupils may become so contracted that they disappear. Females have dark eyes. These ducks are also known by the name Siberian White-eye pochard or green-headed pochard. 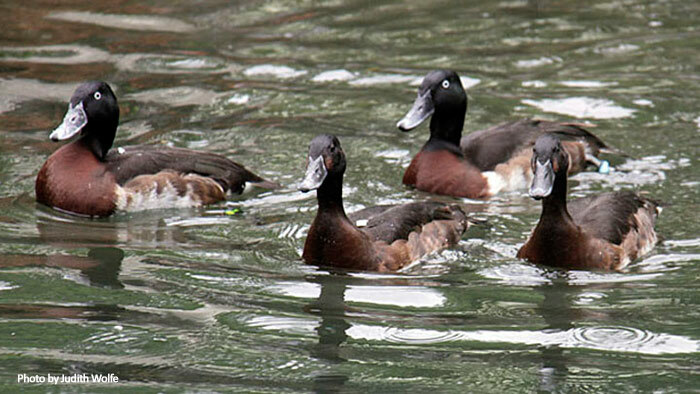 Baer’s pochard tends to be a quiet, non-vocal species, except during courtship.